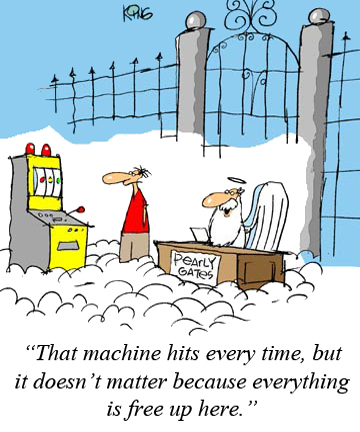 Our Mr. Insider provides insider tips on how casinos go about catching card counters. Paul Wilson concludes his series on the Illustrious 18, and yours truly explains how to play an 18 and 12, depending on the composition of the cards in your hand. Monkeysystem reviews a blackjack tournament held in Oklahoma (favorable review). You can read about the history of video poker in Jerry "Stickman's" column, and get answers to the following questions from John Grochowski: why a casino manager implemented a 6-5 game; whether playing $1 per hand in a dollar video poker machine is better than playing $1.25 in a quarter machine; and the name of the video poker game that uses five decks and has a big jackpot. This is your last chance to sign up for this one-day, hands-on course that will teach you how to gain the edge and become an advantage player when you play blackjack. (You'll get a $100 discount if you register by September 7 plus receive $170 worth of products.) Course taught by Blackjack Master Henry Tamburin. Class size is limited. To register, call Henry at 1-251-648-2471 ASAP. A good explanation on why you should rathole chips, and how to go about doing it when you play blackjack (by Basil Nestor, first published in issue #124 of BJI). Great read! 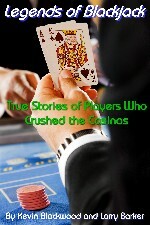 This e-book contains the true stories of the ingenious pioneers who unraveled the secrets to winning at blackjack, and the legendary blackjack players and teams who used this information to win millions of dollars in casinos throughout the world. Click here to read more about this book or to order it. "This month I went north to a much less heralded "strip," namely the Rancho Strip, where I reviewed two local casinos that have these blackjack games..."
"This month I headed east of the Strip to Boulder Highway to check out the blackjack action at Boulder Station and Arizona Charlie's casinos. Here's what I found..."
"Blackjack can be a "hit or miss" when it comes to Costa Rica's casinos, but I found the MaunaLoa to be one of the best for low-stakes play because..."
"I visited several casinos in Italy, Hungary, Sweden, England, and Slovenia and these were the blackjack playing conditions..."
"Casinos use a variety of strategies to catch counters and this article will illustrate some examples of how they have been spotted and caught..."
Read Mr Insider's complete article. "This month I'm going to introduce you to the rest of the Illustrious 18; together we'll find out what they mean and how they could help your game..."
"Even though the following four hands have a count of 18, they are not necessarily played the same way against the dealer's 6 upcard because the playing strategy depends upon the makeup of the cards in your hand..."
"Good open blackjack tournaments are getting harder and harder to find these days; therefore, when a new event comes around I want to check it out..."
STICKMAN'S STANCE: HISTORY OF VIDEO POKER by Jerry "Stickman"
"To properly understand the development of video poker we must start with some of the forerunners of the game..."
"John Grochowski answers some interesting questions dealing with: comment made by casino manager on why he implemented 6-5 blackjack games; is it better to play $1 on dollar video poker machine or $1.25 on quarter machine; and the name of the video poker game that is played with five decks and has big jackpot..."